Recently, Turkish Archaeological News has got in touch with Glenn Maffia who is the columnist for Voices Newspaper. His main research interest is the Temple of Apollo in Didyma and its surroundings. Here's a letter Glenn has sent to TAN portal, along with an excellent Apollo Temple Guide brochure that everyone can download - just click on the link below. You have contacted me at a very interesting and important time concerning the Temple of Apollo and its environment. I personally would stress it as being an absolutely critical moment of its two thousand year old existence. The team from the German Archaeological Institute have unearthed, over the past twelve years, evidence of a major urban society which populated the immediate surrounding area of the Temple. Of which, I have identified upon the map the major civic structures. An oracular temple of Apollo, only second in prestige to that of Delphi would never have stood forlorn and lonely in the Ionian landscape. Didyma would have housed a most significant population in its own right; a population which would have been swelled by those travelling along the Sacred Way from Miletus during the time of the festivals to honour Apollo. I have found no one to dispute this conjectural evidence. Pottery finds have indicated that Didyma was continuously inhabited since the Archaic temple to Apollo was initially begun in the 6th century BCE and possibly even earlier. Even after the dwindling of the pagan religion, Didyma saw the building of Christian sites of worship that continue the evidence of a vigorous population. As is the way for any religion which wishes to usurp a previous one, they built directly over the holy sites once sacred to the pagans. Gradually the entire site lost any relevance of prestige and it ebbed inexorably into nothing more than a shrunken bucolic farming community. The dilapidated stones houses that we see littering the site today are the fading remnants of the anonymous village which prevailed until the earthquake of 1956 proceeded to flatten them all. 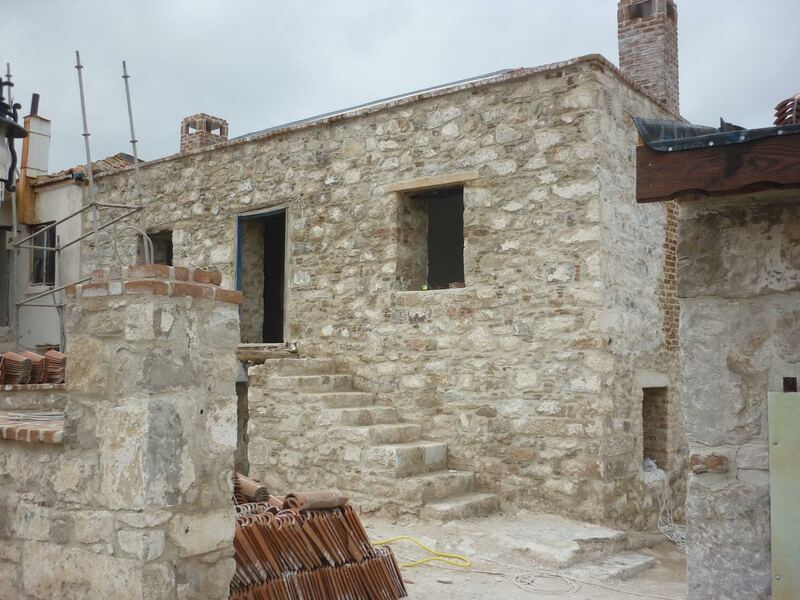 It is to my utter dismay that it appears these 19th-century Greek peasant houses are to be restored without any archaeological investigation into what precisely may reside beneath them. One, see photograph, has already begun this process of obliterating history. I have furnished both the local Ministry of Culture and Tourism office and the Governor and Mayor of Didim with the archaeological map of the Apollon site. None have even had the courtesy to either contact myself or the local newspaper which enabled this map to be produced.